Coming to China as a student for the first time in 1999 was a magical experience for me. It opened the door to a fascinating new world of strange people eating even stranger food and a culture that could not have been more different to mine. However, after a while it became apparent to me that it would not really be possible for me to understand much about China without being able to speak Mandarin. After many frustrating meetings with very interesting people, I really wanted to be able to speak it too. I finally decided I just had to learn Chinese. Back then, the only option to do so was at a big government university. That meant 20 students in a class studying Mandarin through rote memorisation, very little socialising with Chinese students, and strictly separate accommodation and classrooms for local and foreign students (as they unfortunately remain until today). This less-than-ideal environment came with the sort of motivation levels among teachers and staff that one would expect in a communist state-owned organisation. We ended up progressing very slowly and spent our evenings discussing – in English of course – among ourselves how we could get to finally start learning faster. After five months I quit and started to try learning Chinese on my own. As I moved away from university, got a proper teacher and started to understand how to learn Mandarin, I finally started making progress. After a year I spoke good enough Chinese to get a job in a Chinese speaking company in Beijing and I have lived here ever since. From the beginning LTL Mandarin School was designed to help others avoid the mistakes I made and learn Chinese efficiently from Day One. This school has been the focus of my life from the day we started creating the first study plans in a small coffee shop in 2007 right up until today. Since those early beginnings things have of course changed a lot. We now have Chinese schools in Shanghai, Beijing and Chengde, thousands of happy alumni all over the world spreading the word, and we are pretty well known in the Chinese teaching world. However, for me the basic concept has and always will remain the same: get people to fluency in Mandarin as fast as possible. Our very first student lived in a homestay to make sure she spoke Mandarin and not English when she got home. Today 80% of LTL students still do the same. We planned our class structure so that there was an average of three students per class, to make sure each student got enough time to ask questions and get individual attention from the teacher. We still do so now, with an average LTL class size in 2016 of 2.85 students/class. The curriculum was designed to make sure learning Chinese is fun – students get to and are indeed encouraged to speak Chinese during class. At the same time we made sure that the foundations of fluency like good pronunciation habits, understanding how characters can be best memorised and gaining the confidence to speak in daily life are laid at the beginning. Personally I find it quite amazing that even though we review, amend and update our whole curriculum and school structure every year, how little we have had to change since then, because the basics of how to achieve fluency in Chinese have remained the same. Today we are a very established school and I often find myself spending most of my days with accounting, administration and all the other small details that come with running a company in China. However, the thing I always look forward to most is when our new students arrive on a Monday morning, I take them for breakfast and can help them with settling into this country, get to Mandarin fluency and give the advice I wish I had gotten when I first came here. 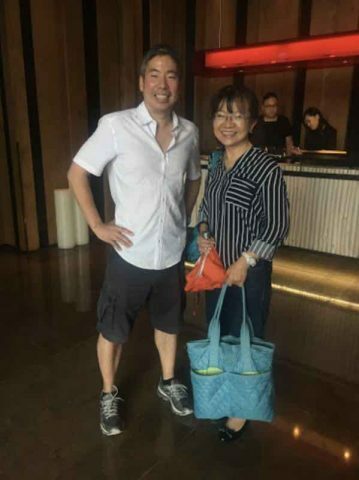 My proudest moments are when those who stay for a year invite me for lunch 12 months later and speak better Mandarin than me. In July 2018 our first Mandarin language student in Taiwan started his four week full time Chinese course in Taipei. Andy is of Taiwanese decent and from the USA. He often visits Taipei for business trips and grew up speaking some Mandarin at home. As he already had the basics down, his main aim was to be able to speak Mandarin confidently in business situations. Andy took four hours a day of individual classes and his progress was very fast. 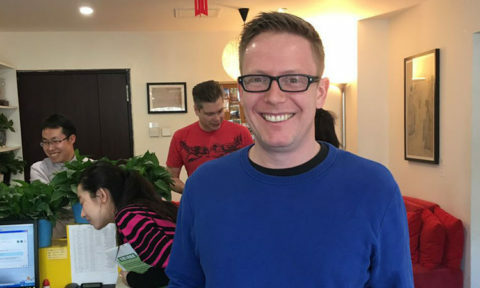 Andy wrote about his experience of studying at LTL Taipei, which you can find here. LTL Taiwan has grown rapidly since then and has already become one of our most popular study destinations. This is bot because of the great school and teachers we have there, but also because Taipei is a really cool, friendly city to learn Mandarin in. A special thanks to Tina Xiang who designed those first study plans together with me as our Director of Studies back in the coffee shop. Today she is our head teacher at LTL Chengde. Personalise your learning with a course of private Chinese lessons in Shanghai. In a 1-on-1 class you have the full attention of the teacher, so no matter what you want to learn, we will guide and teach you. 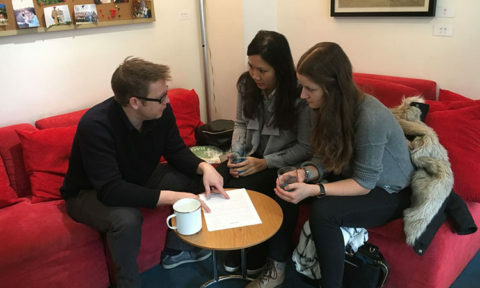 Study Chinese in a small group at a time that is suitable for you. LTL Mandarin School offers morning, evening and weekend small group Chinese courses for part time students. 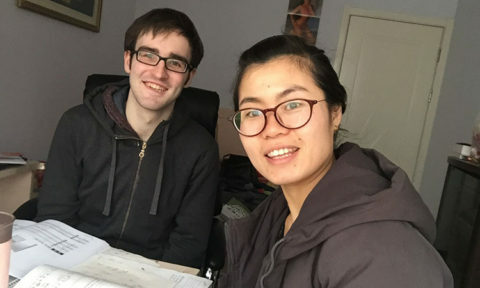 Learn Chinese in Shanghai quickly with a private LTL Chinese tutor. Our teachers are certified Mandarin teachers with many years of teaching experience. Learn Mandarin fast with LTL. Living with a Chinese family in Shanghai is an excellent way to improve your speaking and listening skills outside of the classroom. LTL believes that learning Mandarin Chinese shouldn’t be all about textbooks and grammar exercises.